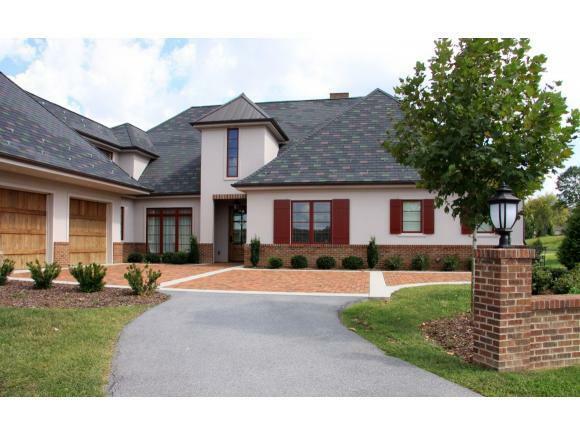 22016 Trellis Court #2, Bristol, VA 24202 (MLS #399186) :: Highlands Realty, Inc.
Beautiful Country French style home in the new development, Vineyard Terraces. Three bedrooms and three and one half baths with a great open floor plan. Features cathedral ceiling in the great room, Wood Mode kitchen cabinets, top of the line stainless appliances, quartz counters, and Lutron lighting system. The open brick patio has spectacular views of the 6th and 7th fairways. Listing provided courtesy of Carol Jones of Virginian Realty.